I'm Chris from Germany, freshly entered this forum. During my research for my PhD, I found this forum here, being amazed by these great pictures. I’d like to prepare my PhD about the German Colonel Paul KUHLO, who served in the German “Ostasiatisches Marine Detachement” (OMD) (East Asian Marine Brigade) during the battle of Qingdao/China in 1914. Paul Kuhlo was born on 27th April 1866 in Hamm/Germany and died on 24th April 1943 in Bielefeld/Germany. From 1905-1908, Kuhlo served as member of the East Asian Occupation Brigade (“Ostasiatische Besatzungsbrigade”) in Peking/Tientsin and went back to Germany. 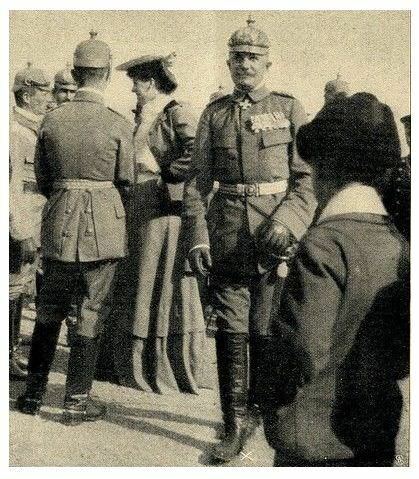 On 14th July 1912 he commanded to the German Marines in China (Peking and Tientsin) and went to Qingdao on July 1914. After the Battle of Qingdao, Kuhlo was captured by the Japanese Army and became a prisoner of war (firstly in Tokyo-Asakusa, later transferred to Narashino; POW-number 115). He left Japan in December 1919 and went back to Germany. Thanks for your feedback and the webpages! Nice to be in touch with you (again). We exchanged emails couple of years ago. The brigade was a command level of the German Reich. It was usually the executive level between division and regiment. The commander was a general. The brigade had one or more regiments or battalions according to the branch of force. It had no brigade troops, comparable to the corps troops of the army corps. Thanks for these photos Tigre. You're welcome. Cheers. Raúl M .